Designed to complement our range of passively safe products, FG300 are a range of high-performance impact resistant delineators that provide the best available survivability and performance in the market. Manufactured from polyurethane, the FG300 series offer high visibility coupled with natural resistance to fuel and oil products. This makes them ideal for use in areas with high volumes of traffic. FG300 series Delineators are the industry standard for toughness, impact resistance and long-lasting performance on both high speed and low speed roads. The unique cloverleaf design provides far better rebound and survivability than round tubes. When hit by a vehicle, the curved sides changes the momentum of inertia and build up potential energy, resulting in a quick and sharp rebound after impact. 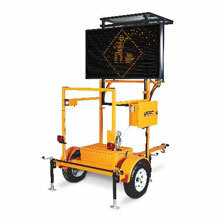 FG300 delineators have many uses such as median and junction marking, ramp delineation, merge lanes, bike lane and car park delineation. They are also available with a plastic kerbing systemwhich is ideal for delineating cycle track or pedestrian/footpath areas. FG300 are very quick and easy to install - just drill 4 holes and secure with the fixing bolts provided. FG300 delineators are available in three colours, each with a 2 high-visibility reflective hoops at the top.